Bråvalla Festival is turning 5 years old in 2017 and that is a good reason to celebrate with an astounding line up of artists both national and international. 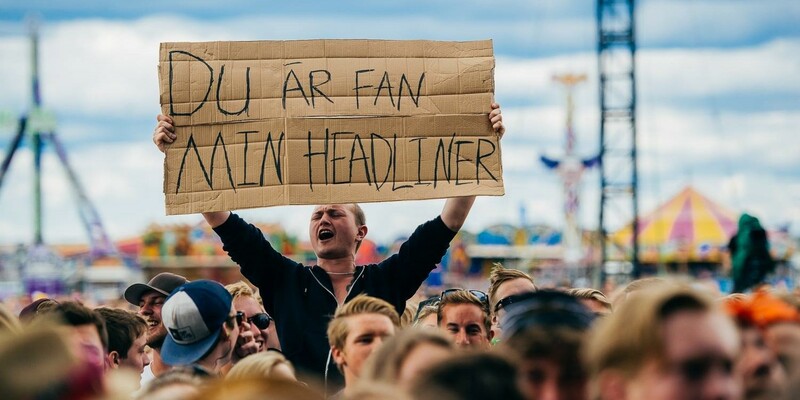 Since the start in 2013, Bråvalla has been the biggest music festival in Sweden with some of the biggest and best bands and artists in Sweden as well as the world playing. This year the festival will run from June 28th to July 1st, with a pre-party on the 28th for all our camping visitors. The festival will take place at Bråvalla Flygfält, on the outskirts of Norrköping and walking distance from the tram station. Bråvalla is one of few camping festivals in Sweden. Aside from all the amazing music you’ll enjoy great food and drinks, loads of different activities all over the festival site, and you’ll make tons of new friends. See you in Norrköping this summer!